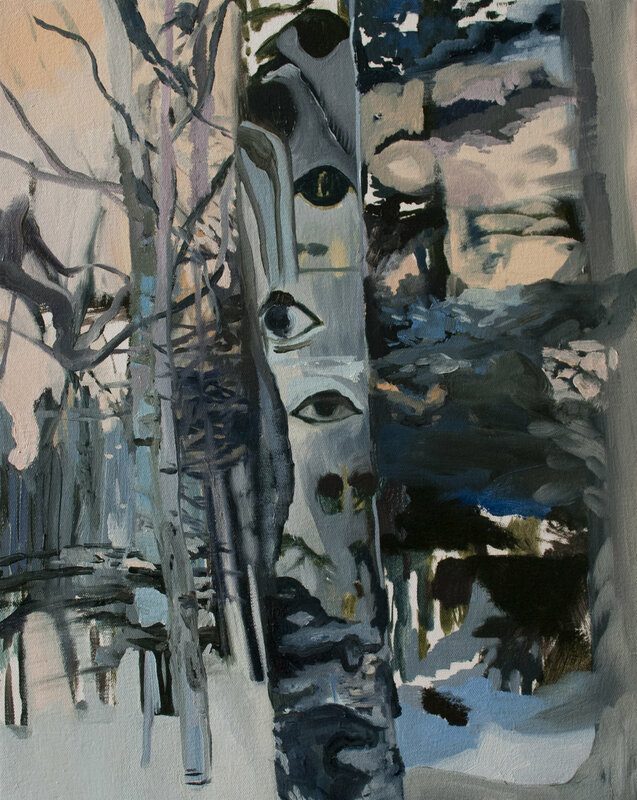 Trees have eyes (birch), 2014, oil on canvas, 20 x 24 inches. The Trees have Eyes (Palms), 2014, oil on canvas, 20 x 24 inches. 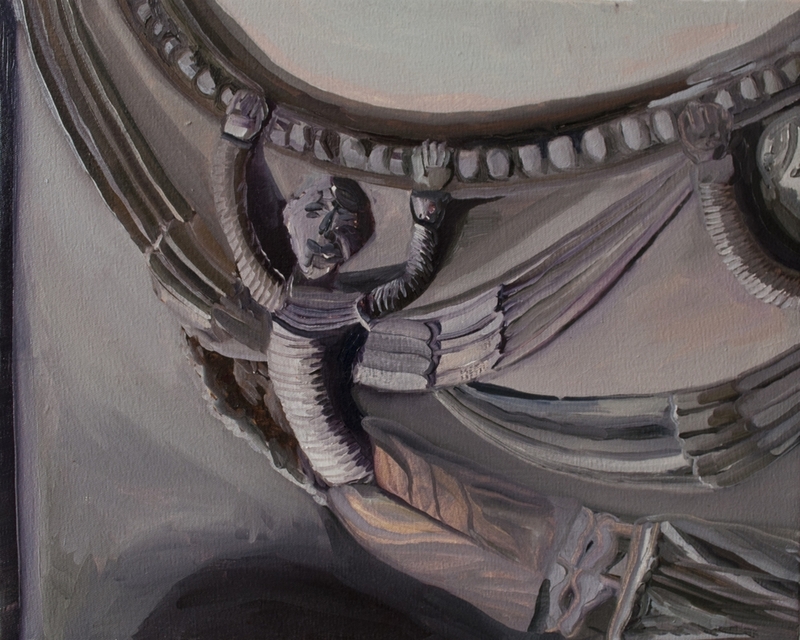 Angel hanging on the stone, 2014, oil on canvas, 20 x 24 inches. Belief in everything (superhero legs), 2013, oil on canvas, 12 x 16 inches. 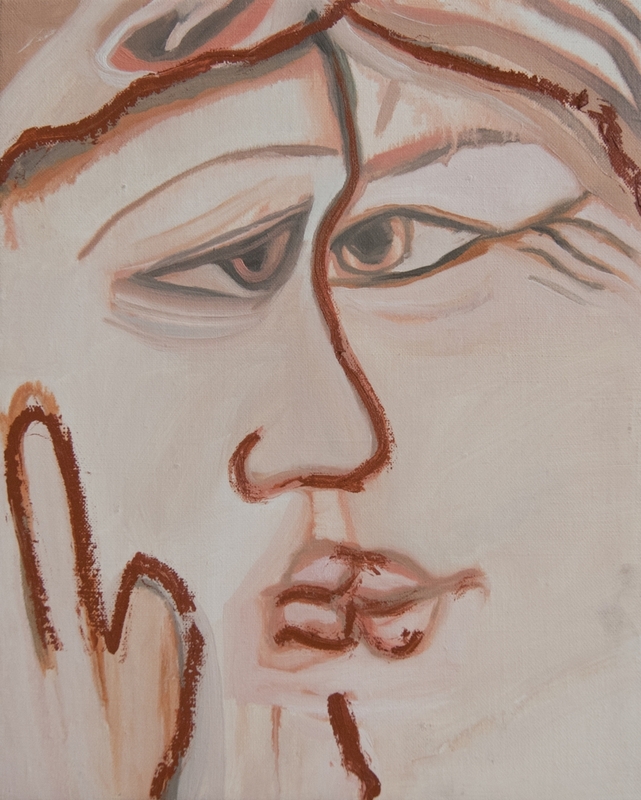 The Kiss (after Giotto), 2013, oil on linen, 12 x 16 inches. 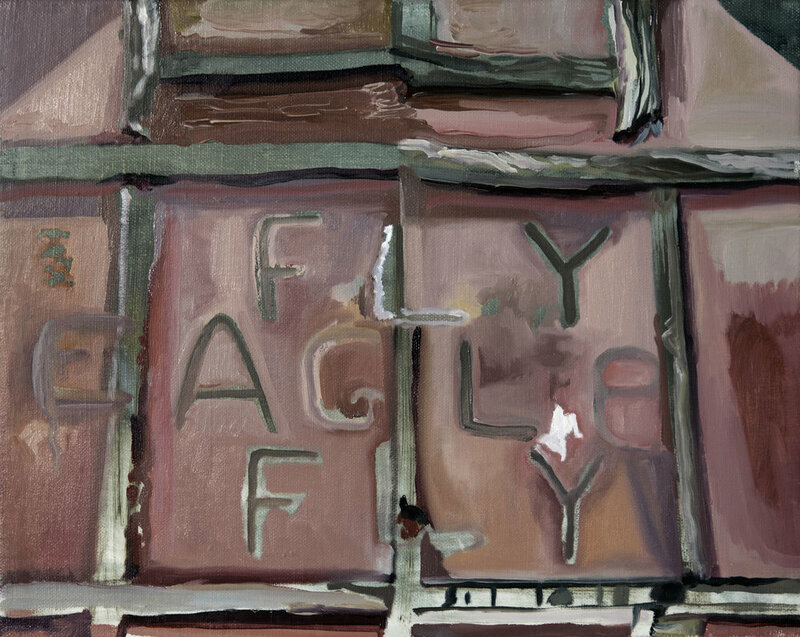 Fly Eagle Fly, 2014, oil on linen, 12 x 16 inches.